Consider whether you would prefer an inductive or deductive approach to designing your theme. A deductive process involves starting with the general and working toward the specific. In this method, decide on your big-picture focus (e.g., gratitude, simplicity, the third chakra) and then design your sequence around that theme. While the work of scientists like Medina point to the value in providing learners with meaning before detail, as you design your class, you might prefer a more inductive approach. Inductive design starts with details and then assigns meaning. Start by designing your sequence. When it’s complete, see if a general theme appears from the postures you’ve selected. Ultimately, both types of process will result in a clear connection between the details of the class and the larger meaning. Our yoga scriptures (e.g., the Yoga Sutra and the Bhagavad Gita) are the most obvious sources of inspiration for theming a yoga class. I have taught classes around the theme of dharma (individual purpose) and the yamas (restraints) and niyamas (observances), for example. These are great places to start for those new to theming. However, there are infinite sources of inspiration all around us, many of which come in more modern forms that harness the power of technology and social media. Poetry is one of my favorites. I find poems through Pinterest, Google Images, and the Poetry Foundation. I also use Doreen Virtue’s Angel Card Deck to select a guiding word or image for my classes. There are in fact, a variety of card decks available to help you select class themes. Finally, I love researching the origin of words via The Online Etymology Dictionary, one of my favorite websites. The history of a word (notice that Sanskrit is often part of a word’s origin) can lead to an interesting theme for your next class. The weather and seasons spark my creativity as well. For example, I recently taught a class themed around the word “repose” to honor the final month of winter before spring began. Rain, snow, falling leaves, cold, and heat all teach us powerful lessons about honoring the inevitability of change and the cycle of life. Want a great class theme? Just look out the window and use what you see. The moon is also a constant source of inspiration in my classes; I regularly theme around the new and full moons. During new moons, I focus on growth or setting intentions. Around full moons, I’ll design a class to help my students surrender or release what is no longer serving them. Themes can focus on body, mind, spirit, or a combination of the three. For example, at the start of 2017, I declared it to be “the year of the pelvic floor” for my students, and my classes that month were often themed around that area of the body. Consider theming a class around hips, shoulders, or even the palms of the hands. To theme around the mind, you might invite students to notice their thoughts without judgment throughout their practice. 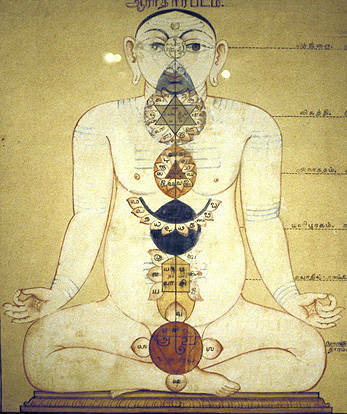 Finally, classes themed around the chakras (one or all) are hugely popular among my students. You might also wish to integrate body, mind, and spirit into one theme. For example, I recently taught a class focused on agility, or the ability to move with ease. For me, agility is found in the perfect balance between strength and flexibility. We began the class developing agility in our breath. We moved through postures intentionally designed to increase agility in our hips and lower back. Toward the end of class, students settled into a three-minute meditation to develop agility of mind and then rested in a restorative posture and savasana for agility of spirit. Students often approach me after a class and tell me that the theme was exactly what they needed to hear. I reply by telling them that the theme came from the universe, so it’s just another example of the universe speaking to them. For me, theming is a very right-brain, intuitive approach that comes from a higher source. I don’t have a list of themes ready to go. Rather, when I sit down to prepare a class, I create space to allow the theme to appear. One of my most treasured teachers instilled in me that as yoga teachers, we are the vessels for the teaching of yoga. When I develop a theme for a class, I call upon the universe to use me as the vessel to share whatever my students need most in that moment. With my intuitive brain taking the lead, I’ll often receive a very clear class theme and sequence that requires little more than jotting down the details, as if I’m merely taking notes as my intuition dictates. If your intuition feels blocked, try using a mind-map to develop your class. To create a mind-map, write a word at the center of a piece of paper and draw a circle around it. Then draw lines out of that circle and attach them to new words, phrases, or pictures. Mind-mapping is a great way to get your creative juices flowing when you feel stuck. I always take a few moments to remind students that the theme I have created is simply an offering. They are in charge of their practice. When I’m leading students through breathwork and centering at the start of a class, I’ll remind them of the group theme. Then I’ll invite them to set their private intention for their practice as well. “Take what serves you and leave the rest” is great advice to share with students concerning both the physical and the spiritual aspects of the practice. Some students might deeply engage with the theme at the levels of body, mind, and spirit. Other students might just want to move on the mat, letting your cues land softly in the background of their practice. As teachers, we make our offerings and create a space in which students are then empowered to make their practice their own. Miller often directs her teacher trainees to Yoga International or other sites for online classes to gain inspiration for themes. “You can learn a great deal from watching teachers teach,” she says. If you’re looking to bring fresh energy to your teaching, try taking a class with a new teacher, whether online or in person. Travel outside your local area and seek out teachers who are known for their artful theming. By becoming a student again, and returning to your beginner’s mind, you can appreciate a great theme in action from a student’s perspective. ‘…. The other thing I found is that after 10 years of practice, one starts to get a bit of a grip with the Mula Bandha. After 20 years I realised this was the real strength of yoga. Now it’s been more than 30 years, more than ever I realise the real strength of yoga is in what is invisible. Ancak iç formun, içsel pratiğin yani soyut ve gerçekten derinlikli olanın keşfi, yolculuğu için Yoga’nın köklerinden beslenmeye her zamanki kadar çok ihtiyacımız var. Tez konum “Sinir Sistemi” ile ilgili arastirmalar yaparken, Ürün Hoca’nın da yönlendirmesi ile uluslararası alanda tanınmış, yoga ve rahatlama anatomisi ve fizyolojisi üzerine uzmanlaşmış ve sertifikalı Iyengar yoga öğretmeni Roger Cole’un, “Pranayama da dahil olmak üzere nefes alma uygulamalarının, beyni ve bilinç durumlarını nasıl etkilediği”ne dair videosunu izleme fırsatım oldu. İnanilmaz bir video, ve hepimizi yakınen ilgilendiriyor. El bilegi ile ilgili tezi yazarken, ilk baslarda bu sakatlanmanin el bilegimdeki zayifliktan kaynaklandigini saniyordum, (ne buyuk bir yanilgi!!!) ne zaman ki bu konuyu arastirmaya basladim, bunun (el bilegi) koca bir sistemin sadece kucuk bir parcasi oldugu gercegi ile yuzlestim. Ve bu sistemi anlamama yardim eden ve benim icin gercekten iyi birer kaynak olmus linkleri paylasacagim.